Todd Morey has an extensive background in motorsports as a competitor, announcer and manufacturer. Currently, along with Team KCM and owner Kreg Christensen, Todd has created and competes in the JackedUp Monster Truck on a regular basis while driving a Midget for Jimmy Wilkins Racing on his off weekends. He and his wife Kelli manufacture a 200+ mile an hour crash tape used in NASCAR, Indy Car, The Australian V8 Supercar Series and various other series around the world. In all, Todd has announced since age 13 at over 50 short tracks across the United States which lead him to the Atlanta Motor Speedway and a tryout with a recommendation from NASCAR Hall of famer Ken Squire. After his tryout in Atlanta, Todd was offered the job to announce NASCAR races at both Atlanta Motor Speedway and sister track Charlotte Motor Speedway. With stints on the ARCA Radio network, Speed51and ESPN Radio, his announcing and on air resume expanded. This eventually lead to working for Monster Jam as an announcer in arenas and stadiums across the country. Todd was also selected as a host to cover the Monster Jam World Finals on their Youtube channel. Since 2007 Todd and his wife Kelli have manufactured a crash tape for the racing industry. Through connections made with industry leaders, X-FLEX Crash Tape can be purchased through ISC RacersTape and SRI Supplies. Throughout his career, with little to no funding, Todd has competed on both dirt and asphalt in Karting, 4 cylinder stocks, Pure stocks, Pro Trucks and Late Models. Finding victory lane in a borrowed car lit a fire inside of Todd to find funding and to pursue racing full time. 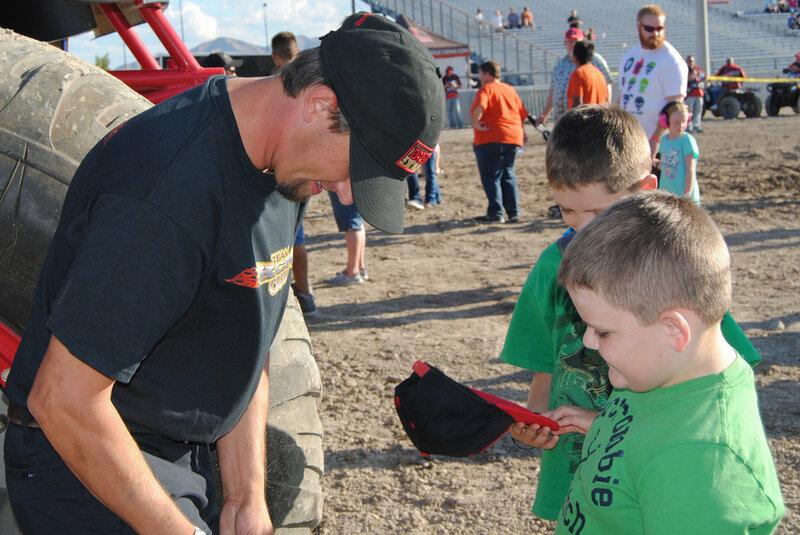 As an announcer with Monster Jam, Todd was able to speak with many teams about the opportunity to drive. An opportunity came with Iron Outlaw. First was a test and then he would be called as a fill in driver when needed. Over the next few years he would drive Iron Outlaw, Bounty Hunter, Knucklehead, and Freedom Keeper while enjoying a few wins along the way. In early summer 2017 Todd was able to strike a deal with 25 year Monster Truck veteran, Kreg Christensen, to pilot a truck with Todd's own name, likeness, body and merchandise rights aboard The JackedUp Monster Truck. Thanks to Christensen, Todd is able to expand his sponsor platform and marketability to reach his future goals. When not behind the wheel of a 10,000 lb Monster Truck, Todd enjoys circle track racing in Florida. He is appreciative of the opportunity to drive a Midget for Jimmy Wilkins Racing. "You can only get so far in this sport on drive and ambition." Todd said. "There is no way I could have achieved these goals in my career without the help and support of those who believe in me. My Wife and kids have put up with alot of sleepless nights and going without financially. We scraped the bottom of the barrel for a long time." "My Dad has supported me through thick and thin. Taking me to races so that I could announce and then letting me sleep in the car on the way back so I wouldn't be too tired for school."